Brad Gibson — the saddest music in the world. This Tuesday Only! 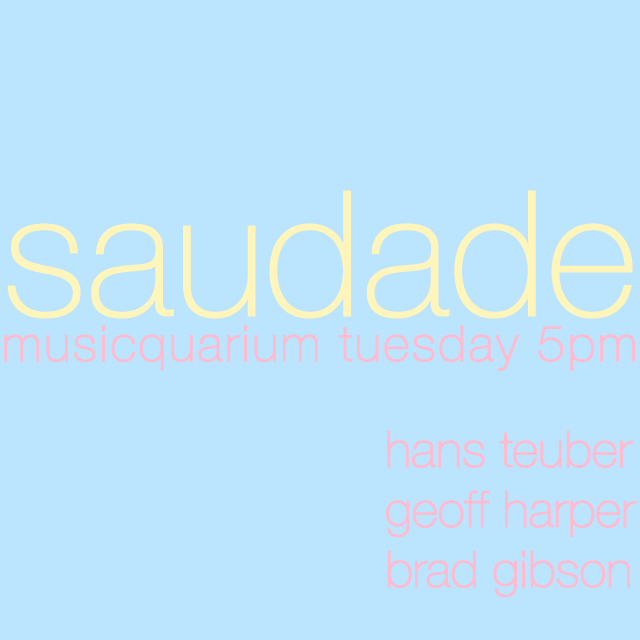 Enjoy a special evening of Saudade with the radiant Hans Teuber and immaculate Geoff Harper. The Happiest Hour! 5p at the Triple Door Musicquarium, Tuesday, Jan 30th.